Probably my best novel. It’s a thinly-disguised account of my old prep school in Kenya, where runaway boys were hunted down with spearmen and tracker dogs. 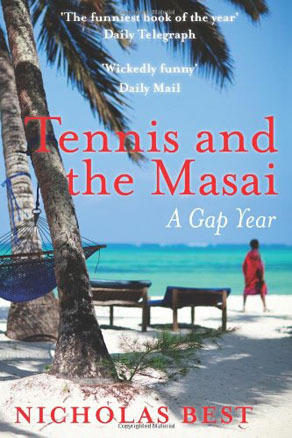 Serialized on BBC Radio 4, Tennis and the Masai was nearly a film with Trevor Howard and Alec Guinness, who named it as his book of the year in the Sunday Times. Online, it has been a No 3 best seller on Amazon.